Slowly, surely and with a steely eye on sales, Jaguar is stalking its rivals. From a comparatively small range of models a few years ago it has become the UK’s biggest car-maker with ranges it cannot produce fast enough and means there are long waiting lists from well healed customers eager to embrace the “cats”. 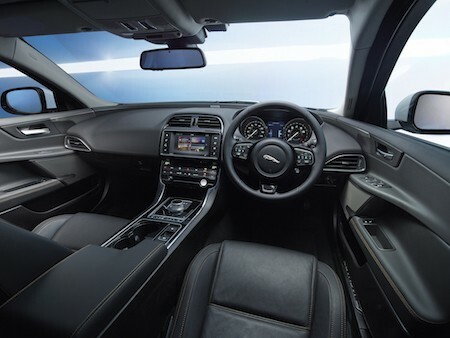 Until fairly recently when the F-Pace SUV was launched, the Jaguar XE four-door compact saloon was its best selling model, bringing its premium motoring into the mainstream and offering a British alternative to the German brands. Like everything, the XE range has evolved and moved up the price charts so the latest AWD model is both attractive and a lot of money. It’s easy to see why people still want one with its restrained British style, and the AWD is a sort of insurance policy against the worst weather. 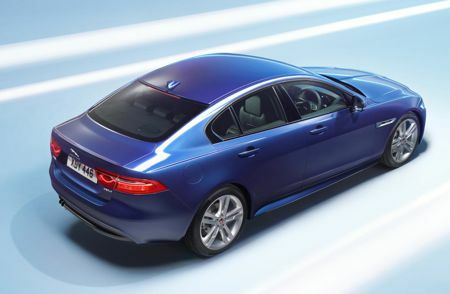 The XE range is big with a wide range of petrol or diesel engines, trim levels but the AWD version comes with only the 2.0 180hp diesel engine and eight-speed automatic transmission in only three grades and ours was the top Portfolio. 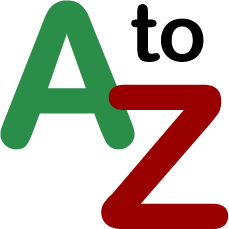 AWD employs a rear wheel drive layout with transfer case which responds to sensors and only brings in the front wheels when extra grip is deemed necessary. That keeps efficiency high, emissions low, handling safe and its all done without the driver intervening. The throttle, shift changes and suspension responses can be fine tuned by the driver for personal preferences as well so you really have a thoroughbred under you. 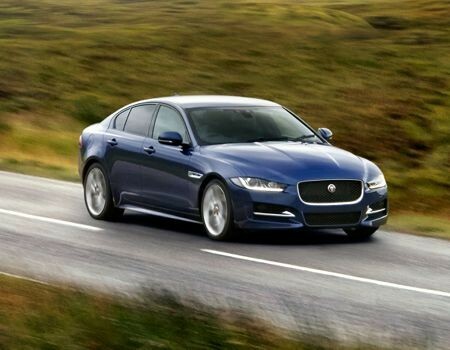 In its default settings the Jaguar XE AWD was powerful, effortless and economical. I loved the powertrain and the silky gearbox, the feedback through the wheel and the confident and capable brakes underfoot. There are a lot of secondary switches scattered about the wheel-spokes, fascia and central console but I took a few minutes to realise the climate control was managed from the new big touch-screen which is also the face of the info-tainment system. It did work well however. The Jaguar had a slightly firm, sometimes noisy, ride but it was still comfortable and you could soften the settings if you wished or tighten them up a bit. The AWD system endowed the car with great failsafe handling and grip on dry tarmac and its agility was excellent on sweeping roads as well as manoeuvering in urban areas where the visibility was good for parking, helped by sensors and a camera on the Portfolio test car. Noise levels were generally low except over the worst roads and if you really pushed the engine out of its maximum torque envelope. Wind and most mechanical noises were subdued. For the driver and front seat passenger the access and room was very good but taller rear seat passengers would find care needed to climb in or out and the back seats were short on leg and headroom. The boot had a small lid but a reasonable though not spacious capacity unless seats are folded. 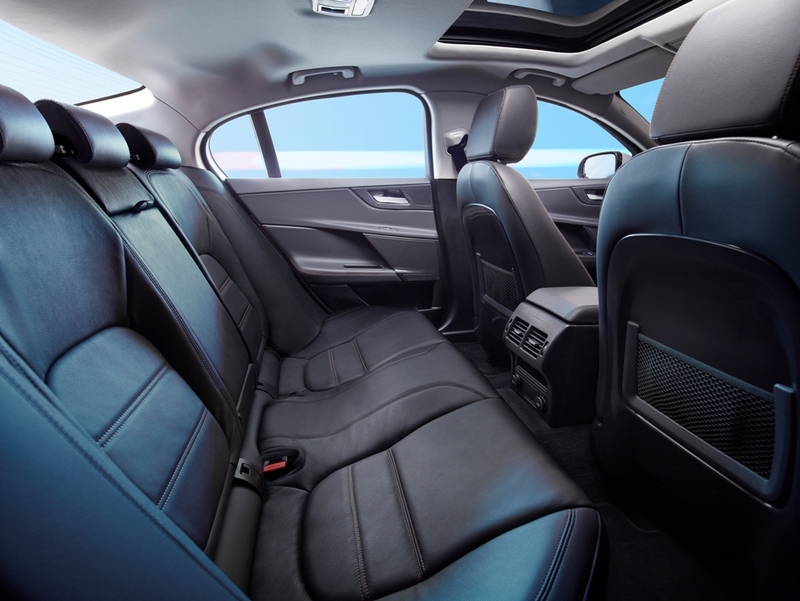 If anything, it is only the rear seat room which disappoints about the XE AWD as it delivers style, refinement and driving pleasure in spades. In the event you do not regularly need to have anyone in the back, the XE AWD is a very attractive proposition, but carefully choose your options and watch out for the new emissions taxes and BIK which can clobber you. Sizes: L 4.68m, W 1.85m, H 1.42m, boot 455 litres Warranty: 3-years/unlimited mileage. For: External and interior styling, sophistication and refinement, strong and economical engine with good gearbox, inspired handling, comfortable ride quality and optional equipment. Against: Modest rear legroom and bootspace, road rumbles stand out, tax costs high.